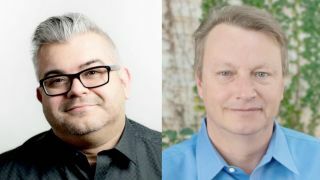 Starin has added Christopher Neto, CTS, and Doug Dillman, CTS-D, CTS-I with the aim of enhancing the company’s overall ability to provide AV solutions. Neto joins the Starin team as the market development manager, overseeing the engagement and experience programs. He will work to expand Starin’s overall social engagement and experience programs for their brands bringing his expertise to new initiatives. Neto has more than 20 years of experience in the pro AV industry. Since 2011, he has been noted for his social media presence, elevating the profile of the industry and achieving global recognition for his efforts. His unique combination of technical expertise and marketing activity has included creating the Sunday morning industry chat forum #AVintheAM, which brings millions of impressions and hot topics of discussion to the table each week. He has also provided onsite AVMag awards commentary, co-hosted AV Smackdown on YouTube, and has been a guest moderator and panelist at many industry events. “Starin is excited to continue building on our platform of social and experience initiatives; Chris’s expertise will only enhance and enable our efforts to move forward faster with both talent and innovation,” said Starin’s executive vice-president of strategy and execution, Bobby Swartz. Starin is also pleased to name Doug Dillman, CTS-D, CTS-I its new technical experience project manager. He comes to Starin with more than 30 years of pro AV experience, including 12 years as an AV consultant. He will work to grow the company’s technical experience team with his design and consulting expertise. “Doug brings a unique set of experience to our team, which will enable us to provide more design assistance and oversight to key partners and projects, as an expanded service offering,” said Bill Mullin, president, Starin.